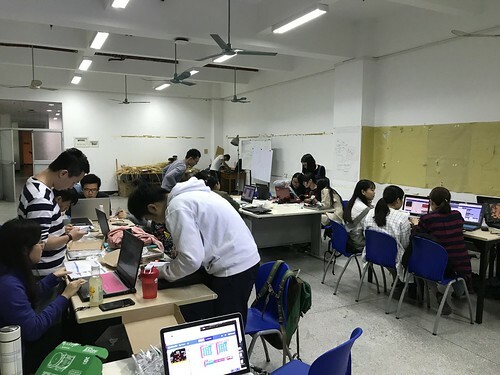 The FE Art Lab is based in the School of Art and Design at GuangDong University of Technology (GDUT) in China. 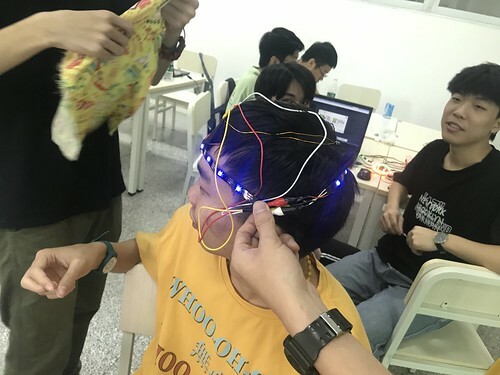 The Lab undertakes research in to the creative uses of computer technology in education, business and the arts. 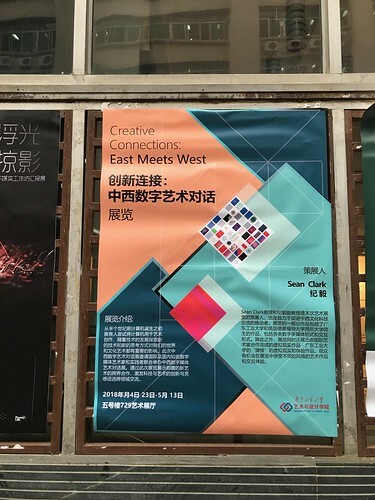 Sean Clark became an International Professor in the School of Art and Design at GDUT in 2017 and is working with Professors Yi Ji and Xiaoying Tang to help develop the FE Art Lab's teaching and profile. 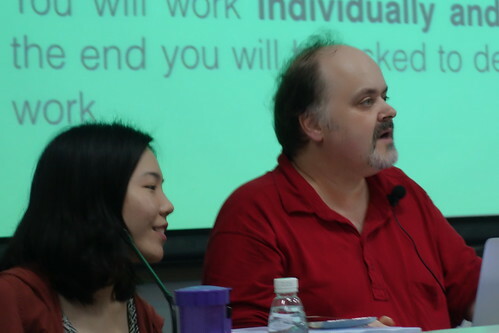 This page documents some of the work he has been involved in. 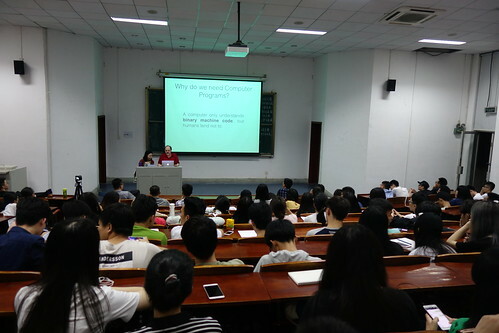 Each four week course involves two workshop per week plus self-directed learning out of hours. 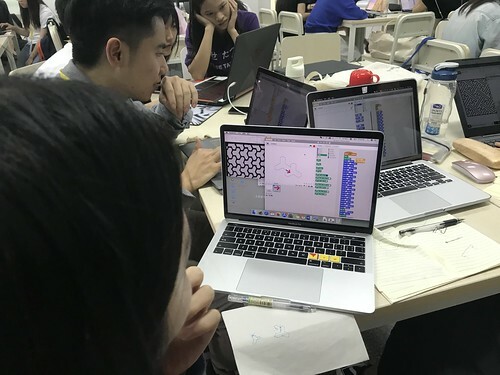 The focus so far has been on teaching computer programming and digital-making skills to undergraduate and masters students. 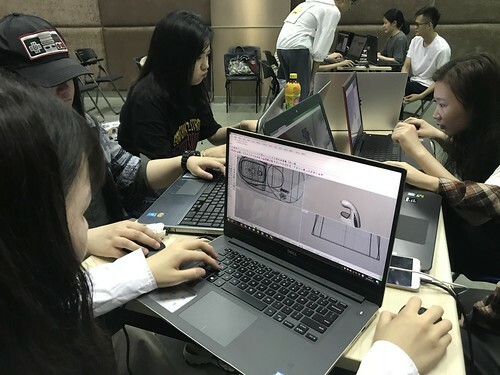 Students are typically studying an arts or design subject and are expected to combine their existing skills with those learnt during the workshops. 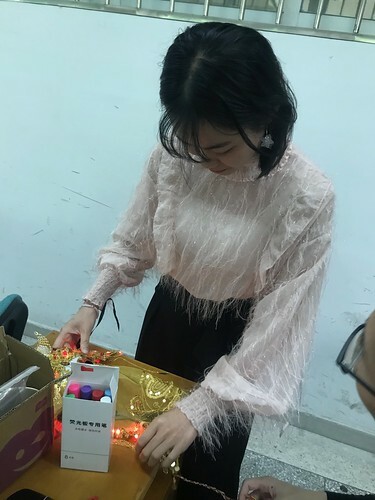 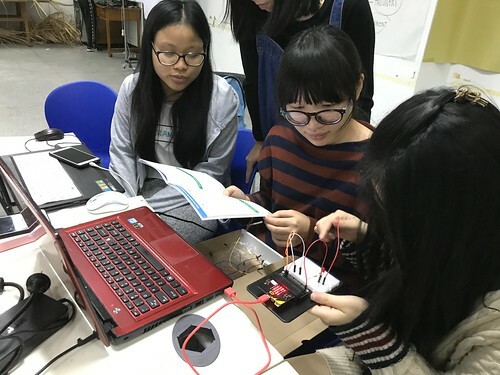 The aim of the first one month workshop programme was to introduce creative technology skills to a Chinese student cohort. 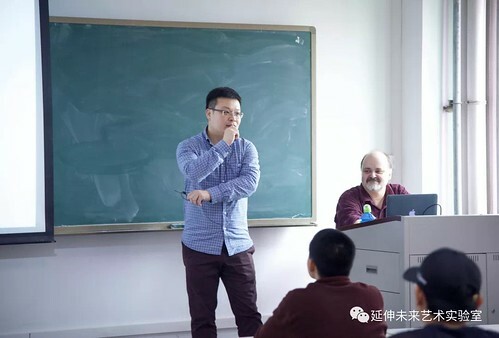 I selected topics from my UK teaching work. 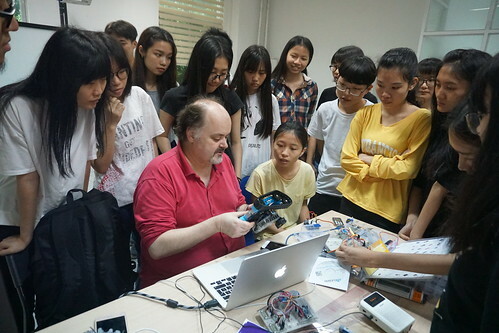 This included Scratch, Arduino and Processing and prepared resources on all three. 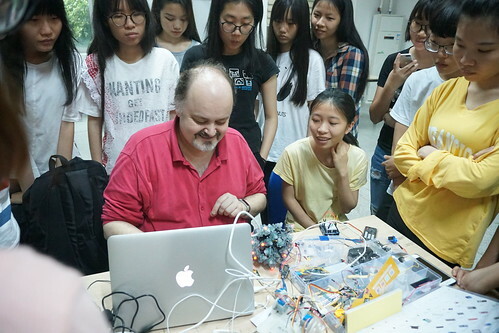 However, when it came to the actually teaching I focussed on purely Scratch and Arduino. 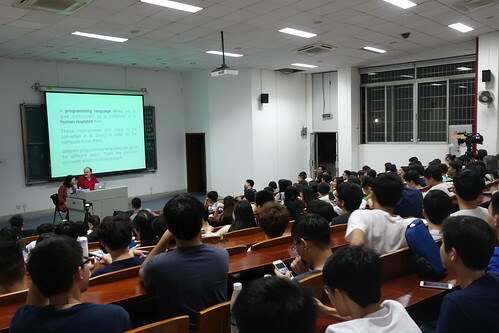 The workshop was delivered in English and students we pre-selected to have basic English skills, also translators were present. 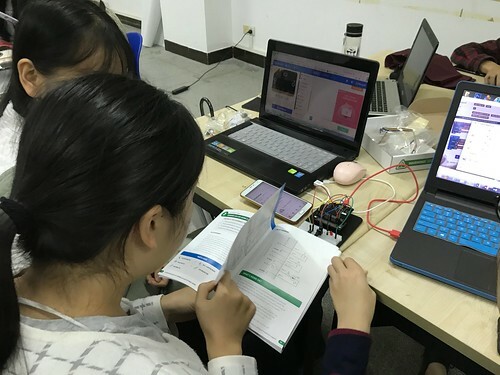 The second month long teaching was similar to the first but BBC Micro:bit was substituted for Arduino. 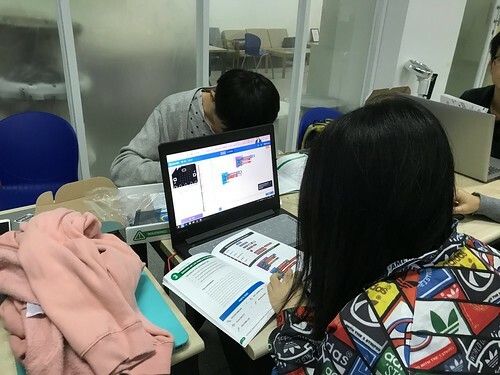 Students spend two weeks learning Scratch and then moved on to the Micro:bit Blocks environment. 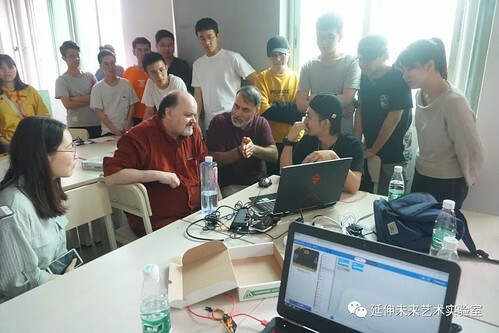 Again, English was the main workshops language, but both Scratch and Blocks had Chinese options. 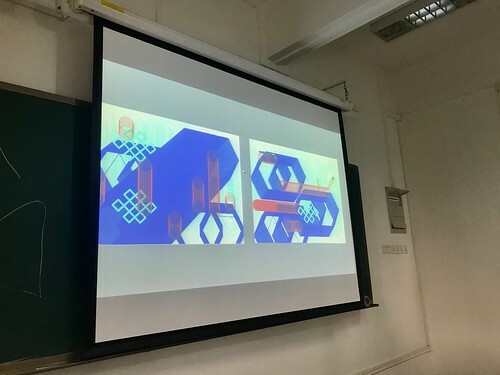 For the third one-month workshop I wanted to shift from just teaching programming towards involving more digital art in the sessions. 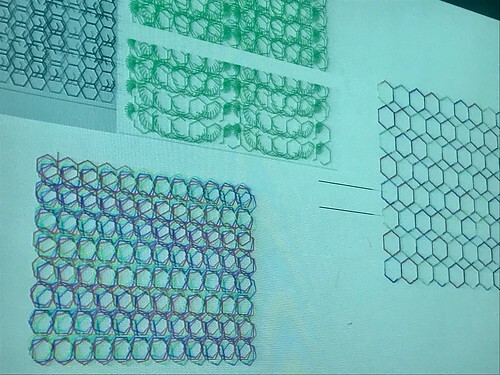 The Scratch teaching was focussed on creating digital drawings - with examples of images from the V&A Computer Art Collection used as examples. 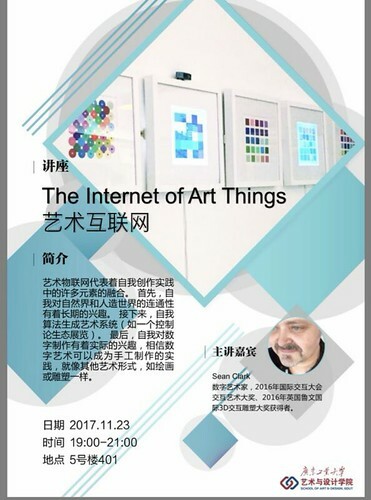 Arduino was taught with the goal being to create a version of my Colloquy of Glass Jars artwork. 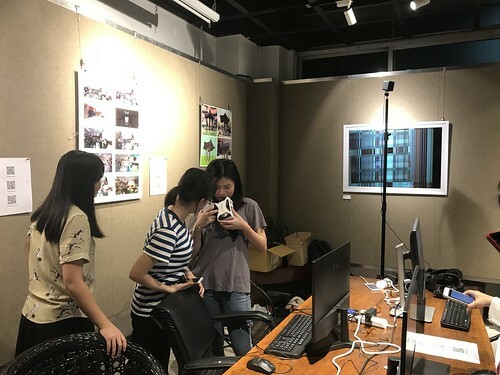 Finally, WebVR was also taught to provide the students with an alternative creative output. 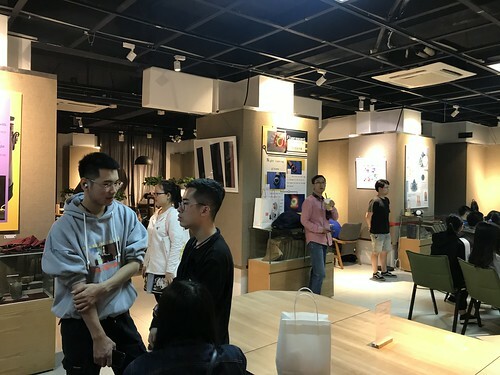 At the end of the workshops the student work was shown as part of the East Meets West: Creative Connections exhibition in the 729 Art Cafe and Gallery. 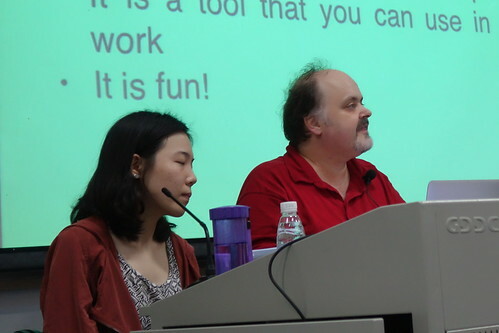 The introduction of a creative theme worked well in the previous workshop and was continued for these sessions. 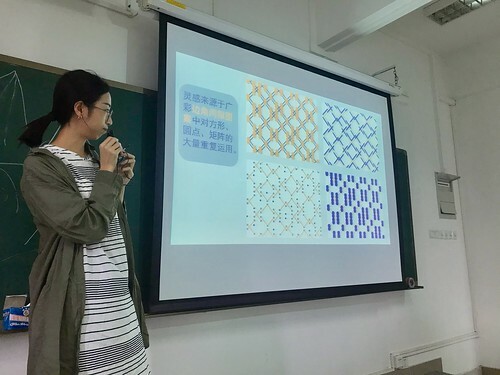 Students were first being taught about Guangcai - Cantonese porcelain. 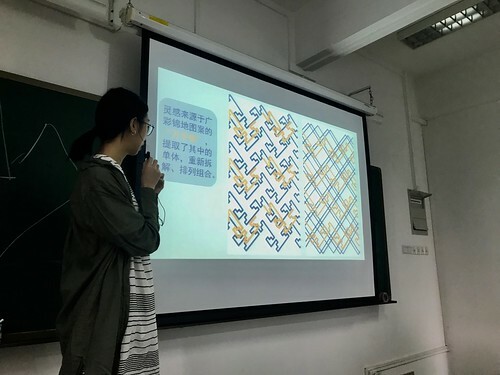 They were then shown Scratch and asked to to write program's to recreate the repetitive shapes found in the designs of Guangcai. 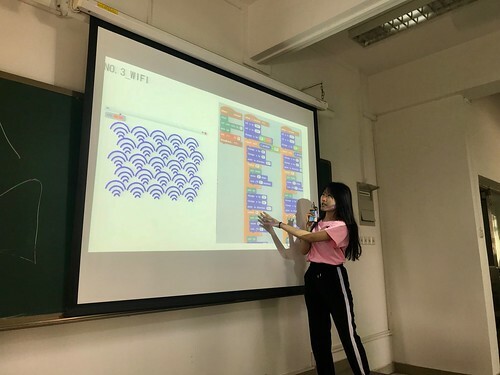 Next, they used Scratch to create an interactive presentation intended to teach people about the history of Guangcai. 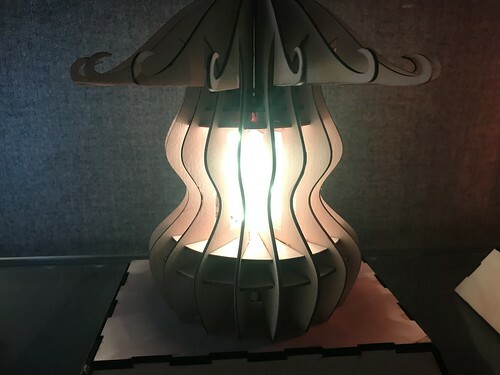 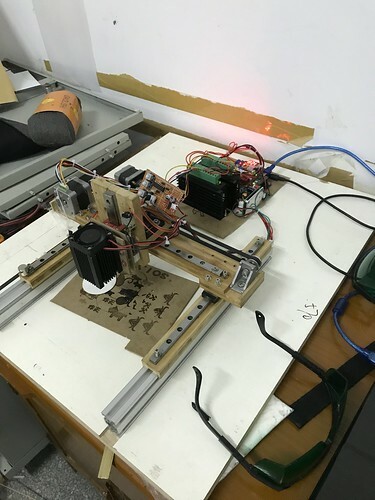 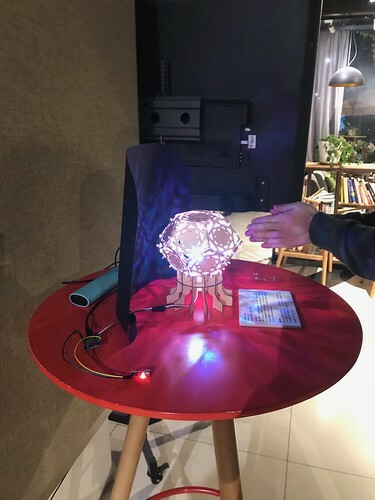 They were then introduced to Fusion 360 and shown how to create generative shapes that alluded to Guangchai and could be laser cut in cardboard to be used as the basis of a design for a lamp. 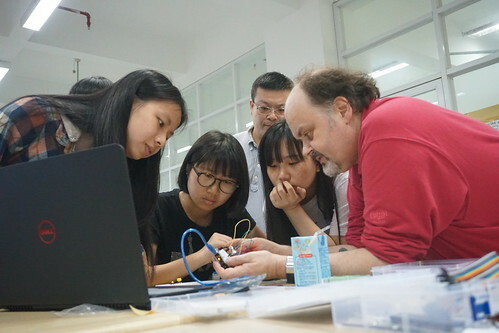 Finally, they were shown how to use Arduino to control LED lighting and that was installed inside the lamp. 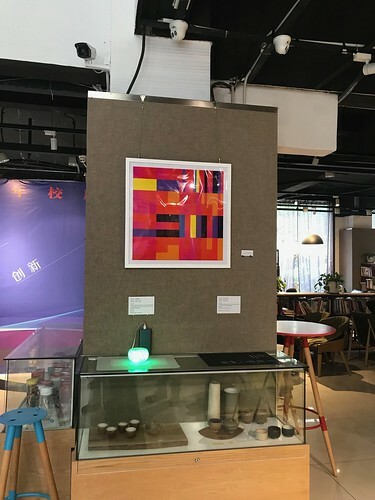 The resulting work was very impressive and was exhibited as part of the East Meets West: Innovation Connections exhibition in the 729 Art Cafe and Gallery. 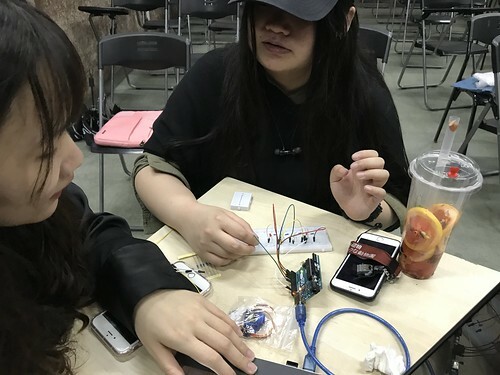 This workshop was focussed on Wearable Technology and the teaching of making skills. 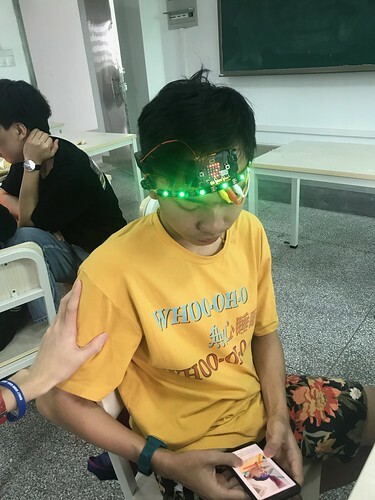 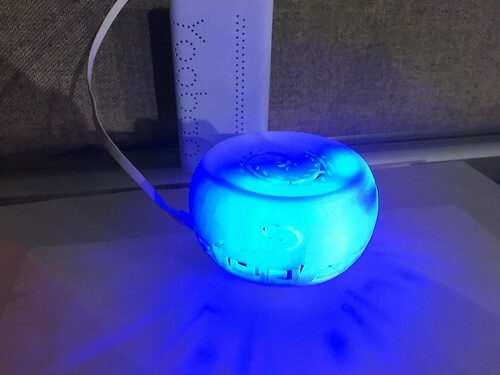 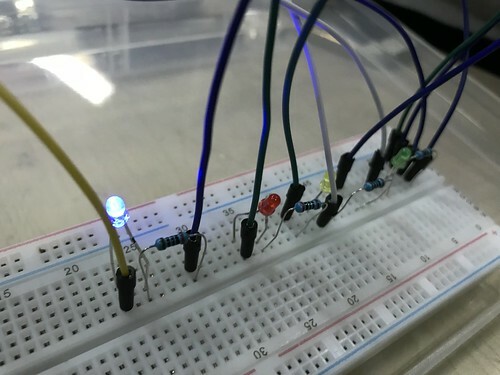 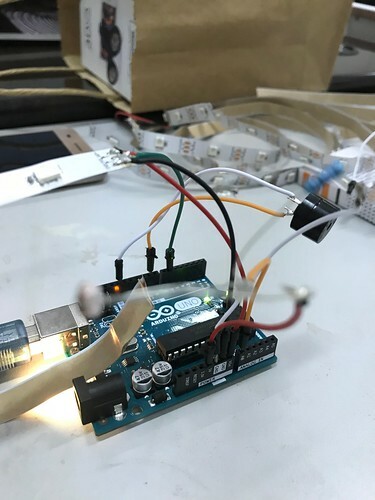 Students were introduced to the current trends in Wearable Technology and shown how to use the BBC Micro:bit to create their own wearable device with sensors and LED lighting. 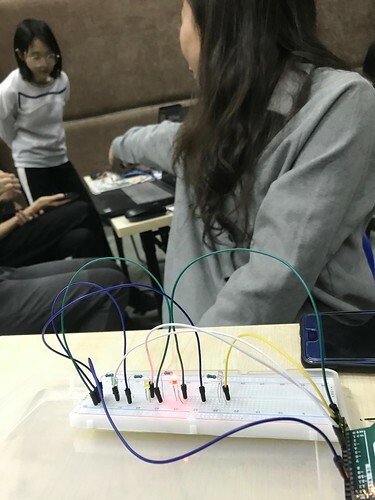 Some students also experimented with creating light works, again controlled by the Micro:bit. 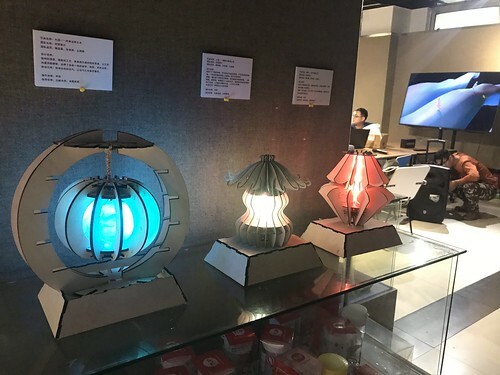 Prototypes were handmade and 3D printed. 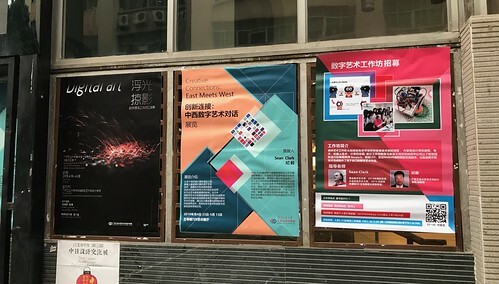 The student's work and information posters were then exhibited in the 729 Art Cafe as part of the East Meets West: Smart Connections exhibition. 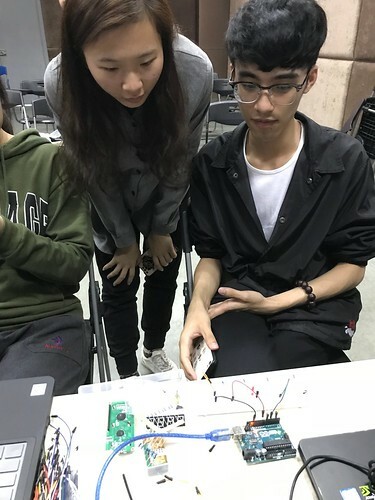 For this group, who had no previous programming or hardware experience at all, the Micro:bit proved to be a very accessible platform to work with. 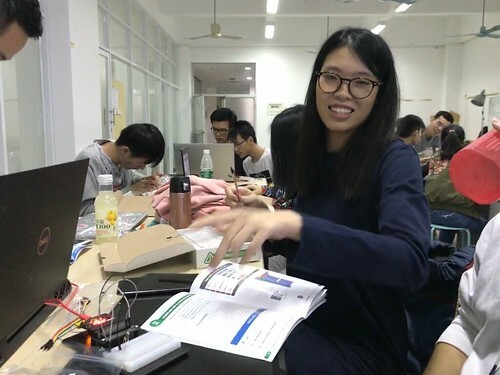 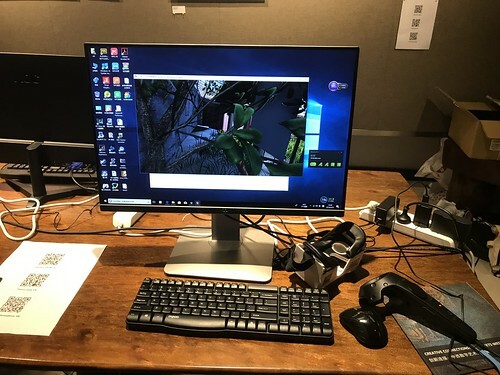 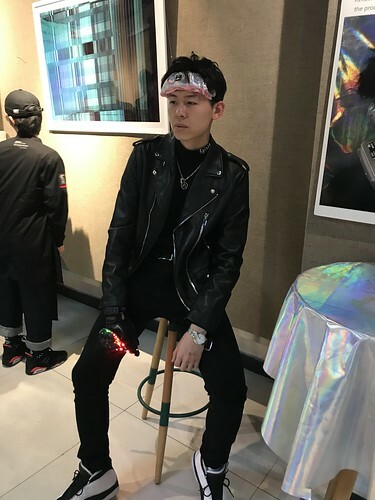 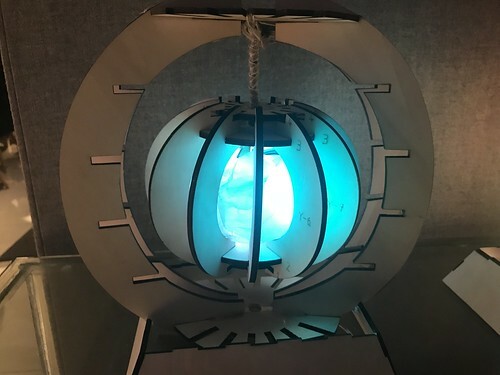 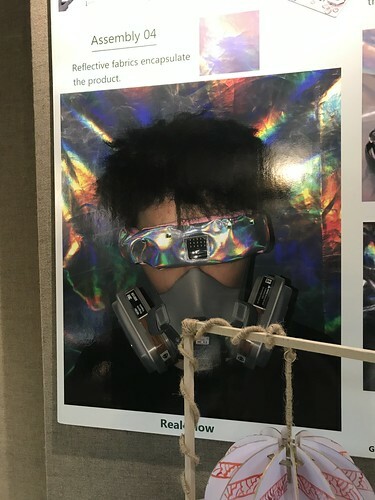 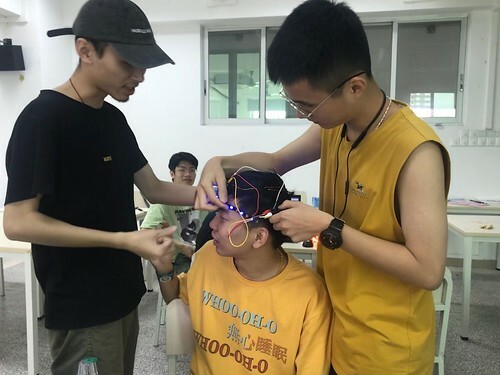 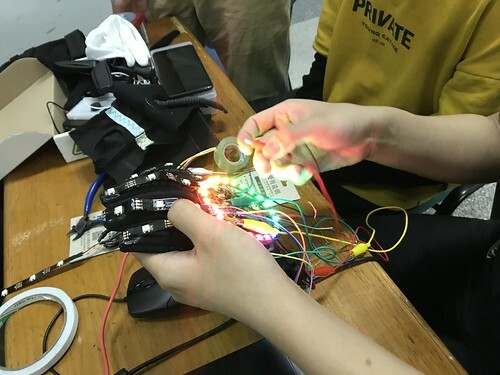 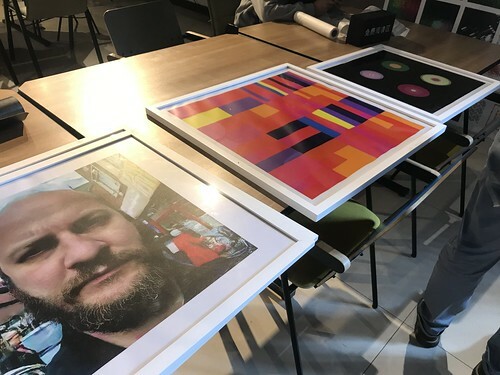 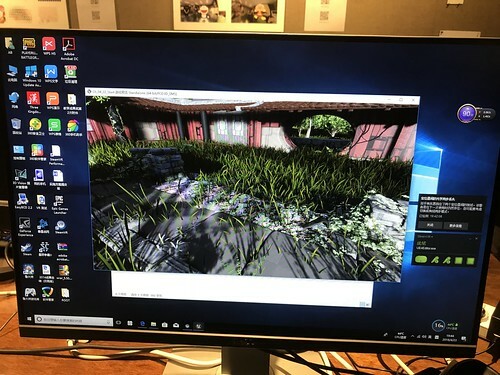 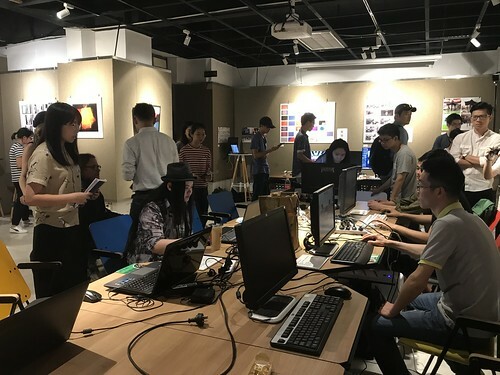 Innovation Connections: East Meets West brought together a diverse range of work by digital artists from De Montfort University in Leicester, UK and Guangdong University of Technology in Guangzhou, China. 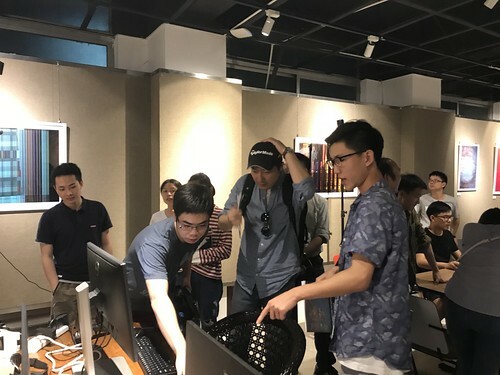 The exhibition ran at the end of the Creative Coding workshop. 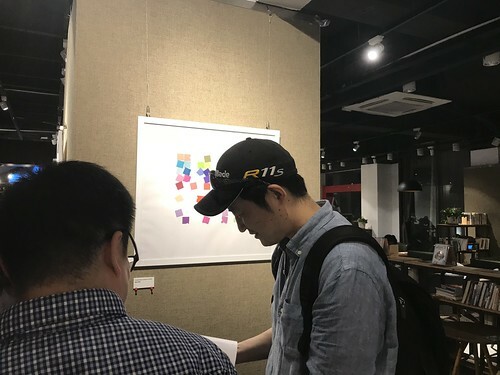 It was our first UK/China digital art exhibition at GDUT. 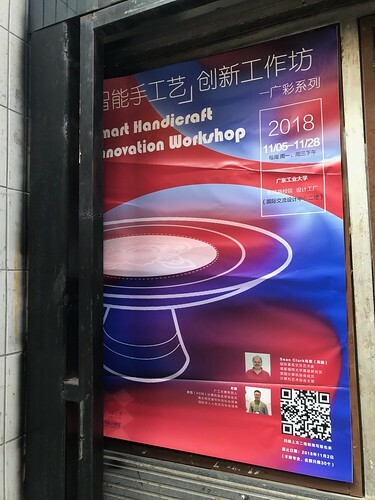 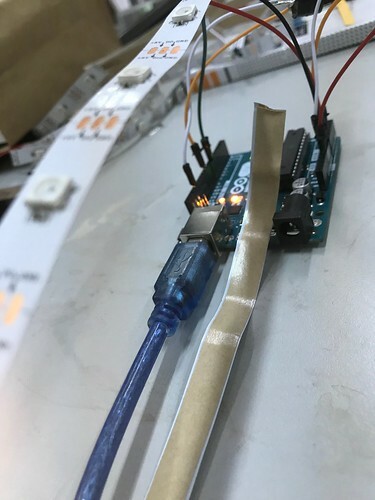 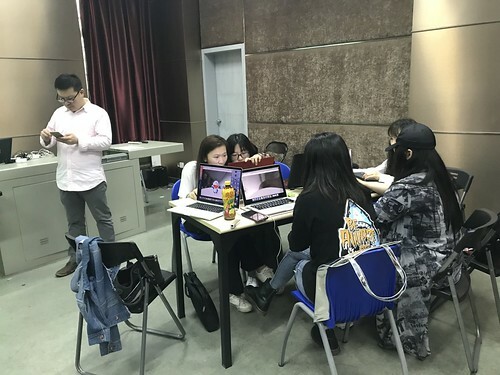 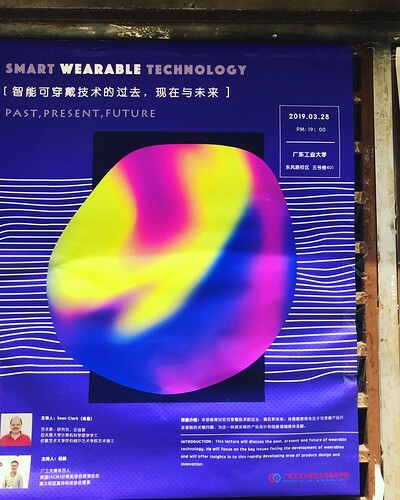 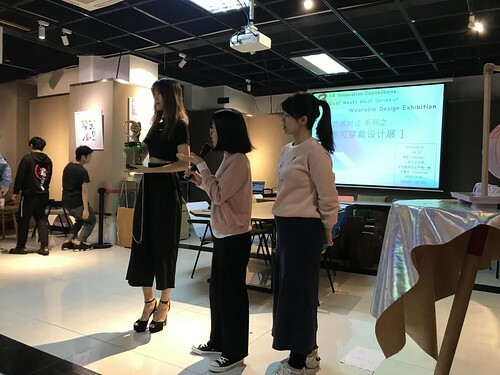 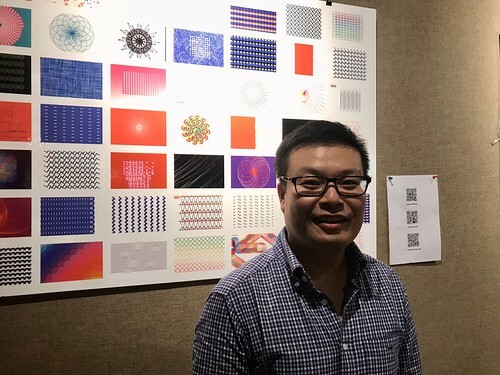 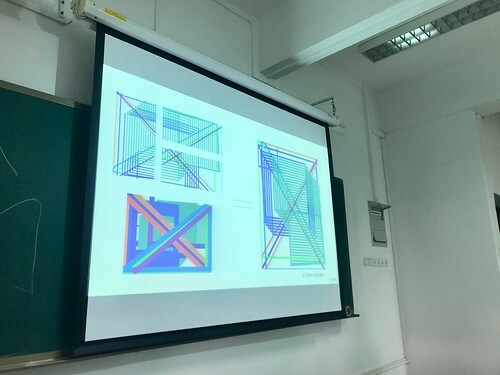 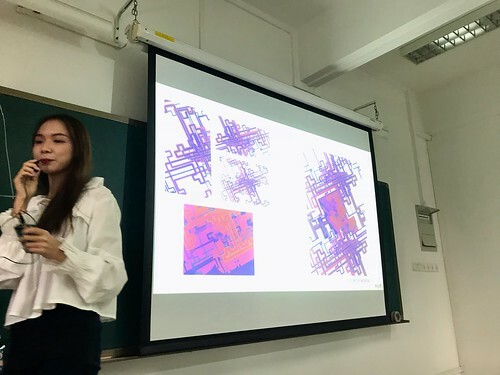 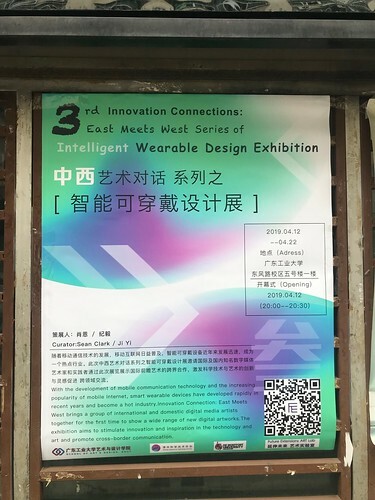 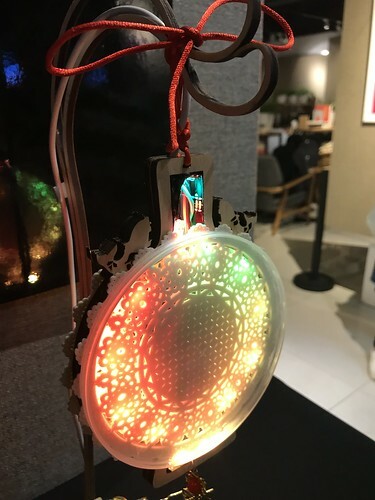 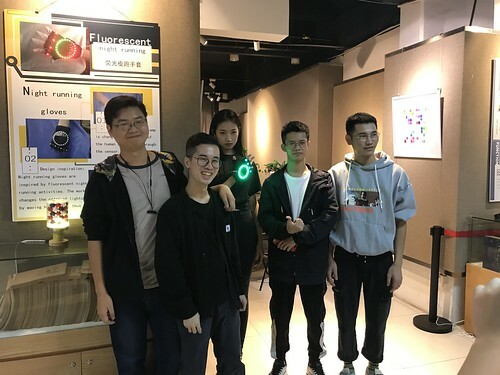 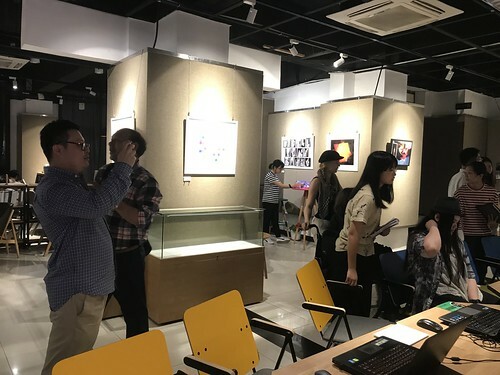 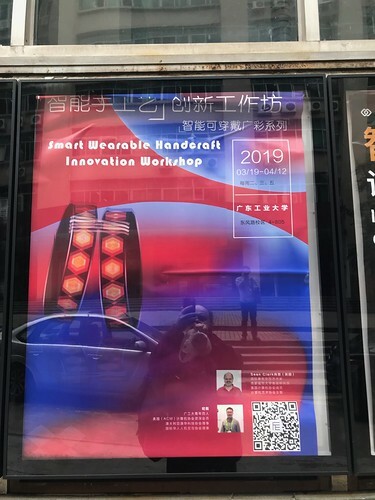 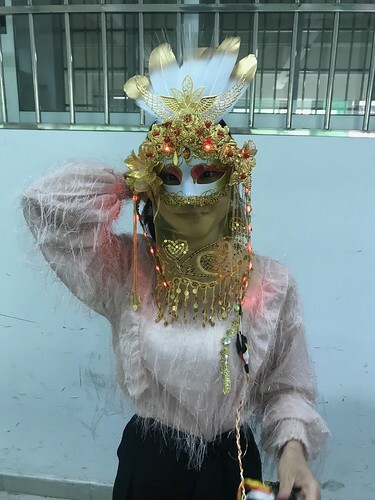 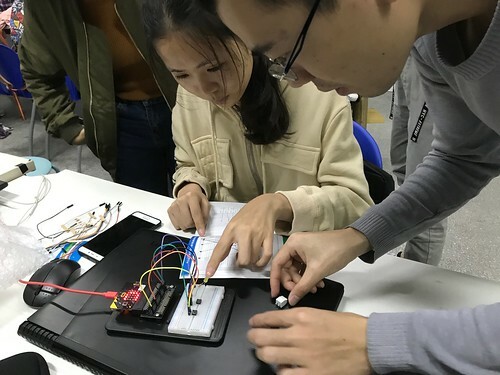 Innovation Connections: East Meets West was the second in a series of digital art exhibitions hosted by the School of Art and Design at Guangdong University of Technology in Guangzhou, China. 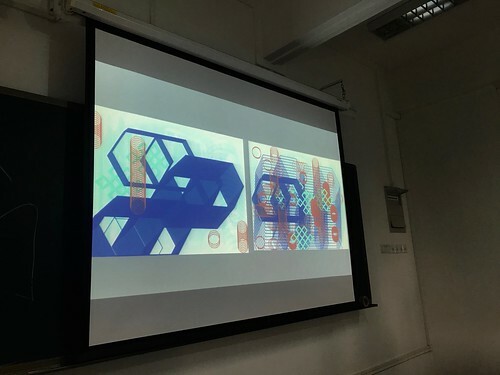 It featured work by artists from De Montfort University, GDUT, Australia and New Zealand. 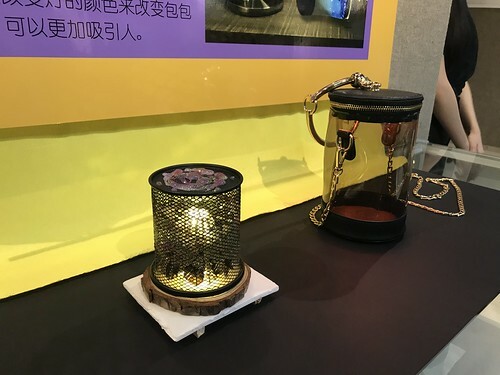 It also showed the lights created by the students in the Lighting Based on Guangcai Porcelain workshop. 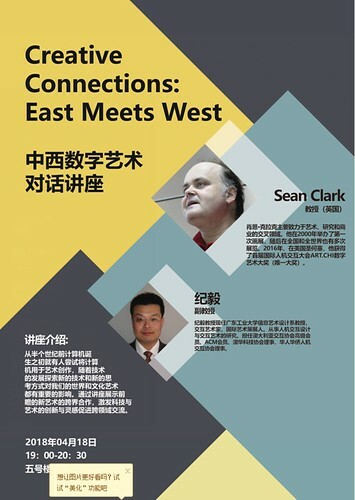 For information about the workshops and exhibitions contact Sean Clark at seanc@cuttlefish.com. 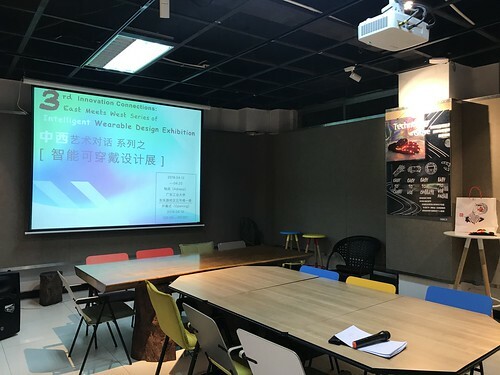 For information about the FE Artlab at GDUT contact Yi Ji at jiyi001@hotmail.com.